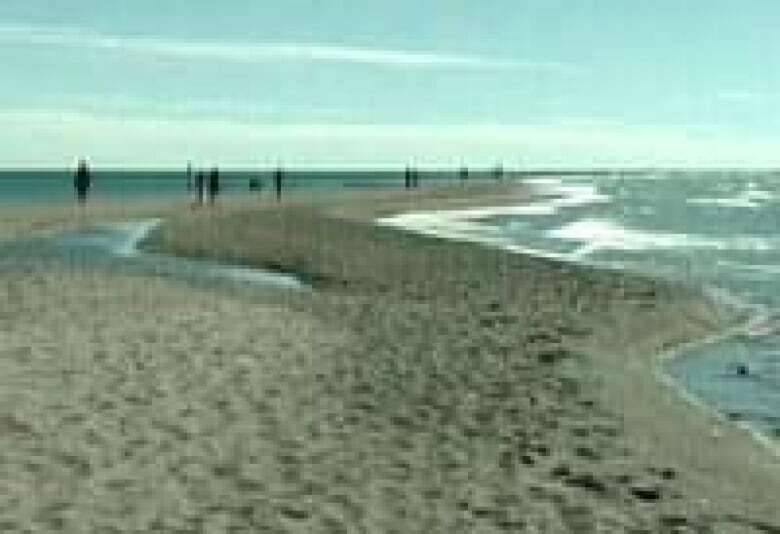 More than a year after locals lamented the loss of the famed sandspit at Ontario's Point Pelee National Park, the point has reappeared. More than a year after locals lamented the loss of thefamed sandspit at Ontario's Point Pelee National Park, the point has reappeared. The disappearance of the sandspit back in March 2006 made national headlines, with somefearing erosion had permanently eliminated it. Park officials said at the time that while fluctuating water levels and waves from Lake Eriecreate an ever-changing tip, last summer marked the first time it completely disappeared. The sandspit has come back, now as a winding shape more than a half-kilometre long. "We came back here in the mid-60s and it was about like this then, the tail kind of waved a little bit," said park visitor Brian Drown, gesturing to the zig-zagging point. "Then I was down here earlier this fall and there was nothing here at all. I was amazed!" The park advertises itself as the "southernmost tip of Canada's mainland" at the same latitude as northern California and attracts more than 300,000 visitors a year. It's located about 50 kilometres southeast of Windsor and is one of Canada's smallest national parks.